Mention "secret menus" and many people think of hidden functions on Blackberries or Xbox games. Actually, secret menus refers to items you can special order at restaurants that aren't mentioned on standard menus. Some places, like Chipotle Mexican Grills, have a whole secret menu that's limited only by your imagination. 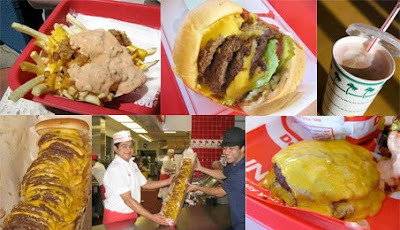 On the other hand, In-N-Out Burger's secret menu" is so unsecret it's posted on their Web site. Kind of takes the cool factor out of having the inside scoop, doesn't it? If you're looking to impress a date or just like that feeling of "knowing the chef," here are 24 restaurants that offer secret menus. Remember, not all may participate in the hidden menu. However, if you try to order something and the server looks at you with a blank look, don't give up. Describe the dish and usually they'll make it for you anyway. Just keep it under your hat.